Please come to the front door and "crank" our 140 year old door bell to let us know you've arrived!! 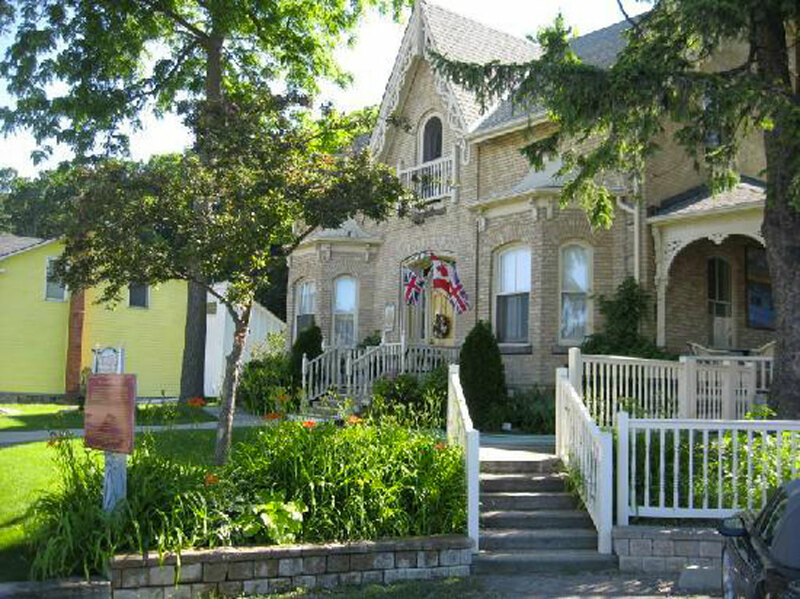 Our Victorian two storey, yellow brick is in the heart of this quaint fishing village on the north shore of Lake Erie. Watch the sailboats, lift bridge, and fishing tugs from our side porch! Port Stanley boasts a great community of artists, summer theatre, five marinas, quiet boutique shops, fine and casual dining, grocery and an LCBO all surrounded by our two beautiful public beaches. The town's main attraction is the local catch from the commercial fishing fleet that docks in the harbour and supplies our restaurants with the freshest perch, and pickerel. There are a number of golf courses and country clubs within a short driving distance. Click here for more information on recreation and attractions in Port Stanley. 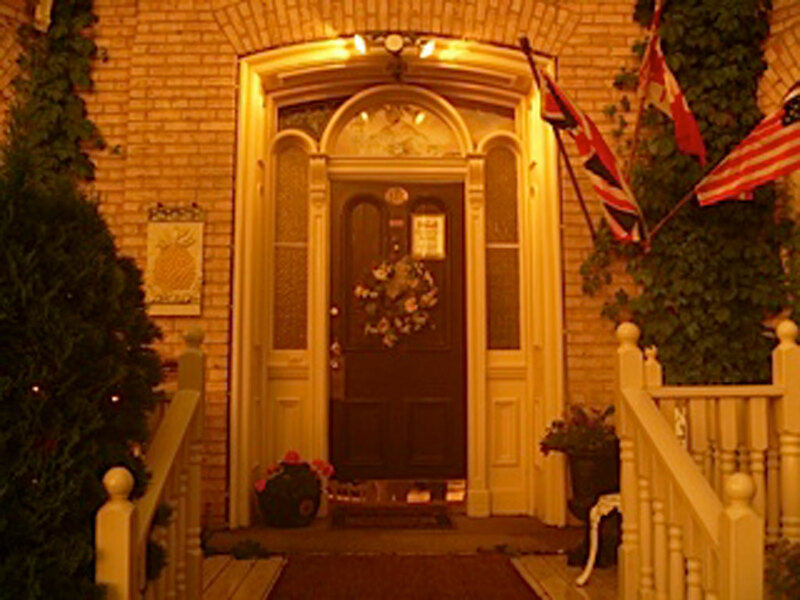 Telegraph House has two large unique heritage decor bed and breakfast suites, both with ensuite bathrooms and clawfoot tubs and walk-in showers. We offer twin or king size beds, with room 202 providing a pull-out sofa for extra guests. Each suite has its own TV and DVD player, cable, and a small house library of movies is available to guests on the second floor landing. Also located on the second floor is a guest fridge , books, cards and the telegraph key. Self serve tea is located on the main floor lobby 24/7, as well as filtered water to take to your room. Coffee is out at 8 a.m., breakfast is served at 9 a.m. Check out is 11 a.m.
All beds come with feather top mattresses, down duvets and lots of pillows for every guest's comfort. All beds are complimented with 100% Egyptian cotton white sheets and a variety of pillows. Sparkling white towels, towel heaters and epsom salts are available in each bathroom with complimentary shampoo and hair dryers. Telegraph House has central air conditioning in summer and in winter each suite has it's own electric fireplace for cozy evenings. The main floor dining room has two gas fireplaces. Be sure to view the harbour from the second floor telegraph landing or on our breazy side porch with a glass of wine or a cup of tea! Breakfast is included in room rates and is available at 9 a.m. in the dining room or on the porch selected from our breakfast menu. Coffee is available at 8 a.m. for self serve in the front hall tea station. Help yourself to coffee and take some back to your room or out on the porch in the summer. Sunday mornings in the summer is race time in Port Stanley and you can see the sailboats leaving the harbour when the bridge goes up from our side porch while enjoying your breakfast! 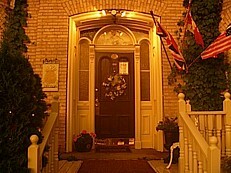 Click here to view the Telegraph House B&B Gallery. 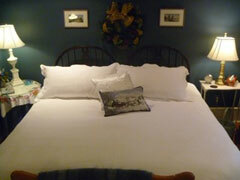 Fluffy down duvets and feather beds, fireplaces in each room. Air conditioning, internet access and free DVD movie library. Wonderful hot breakfast included. Completely restored heritage house, new bathroom, old pine floors, wireless internet connections! All rooms have DVD's to enjoy our in house movie library! 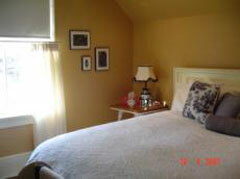 Within walking distance of both Port Stanley beaches! Walk to all shopping, summer theatre, liquor store, groceries, restaurants and galleries. Additional important information can be found on our Guest Information page.